Learning through actual experience, vivid visualization are our preferable method to transfer knowledge about sustainable energy to children. Above all, GreenID expects to provide young people with an overview of Sustainable Energy and Air Pollution. Besides, we can inspire the 20X generation to act jointly for Clean Air, Hanoi Green together. 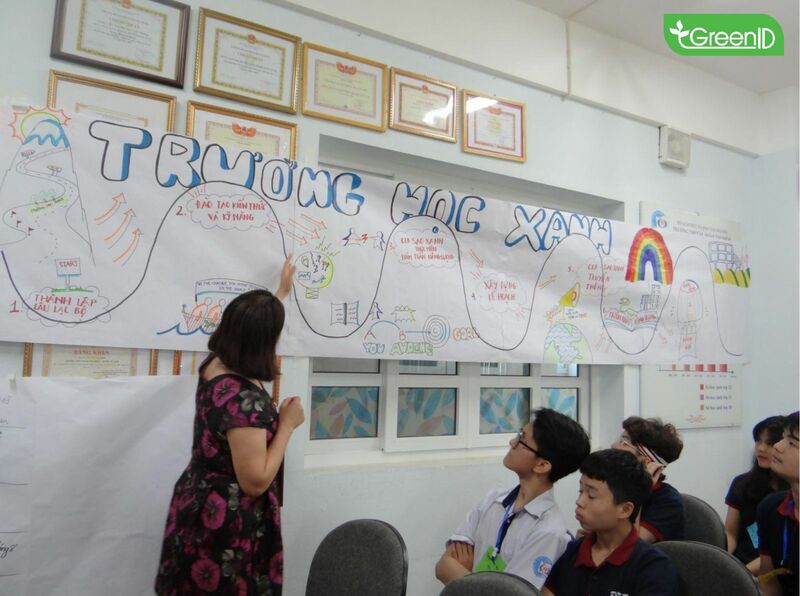 From 8:30 to 16:30 on 18th May, 2018 and 21st May, 2018, Green Innovation Development Center organized the "Launching Green Star Club Program" at the secondary school, Doanthidiem, Namtuliem District, Hanoi. As a part of series of activities called "Green Schools," the program is designed to raise awareness and promote students' passion for energy efficiency. 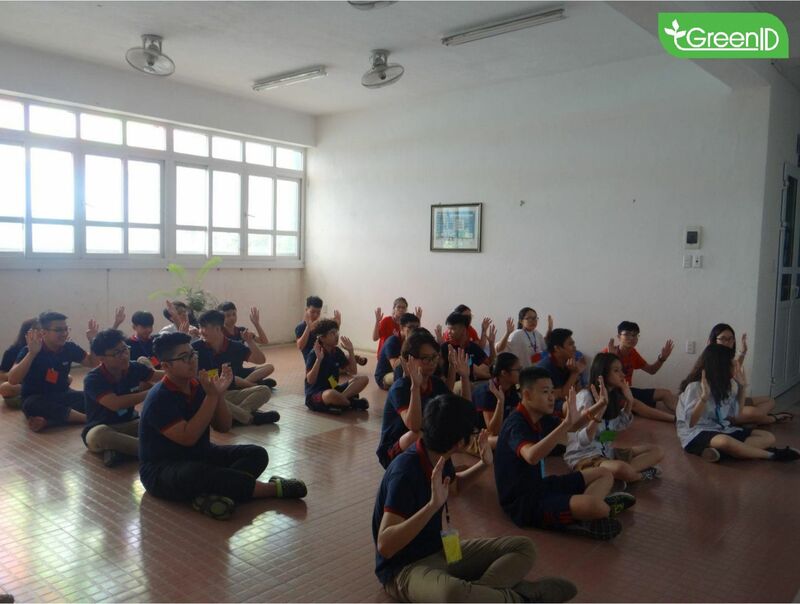 On 18th May, there were representatives of Doan Thi Diem high school, 05 representatives of GreenID, 02 experts of teaching and more than 30 members of green star club who attended the program of launching green star club. 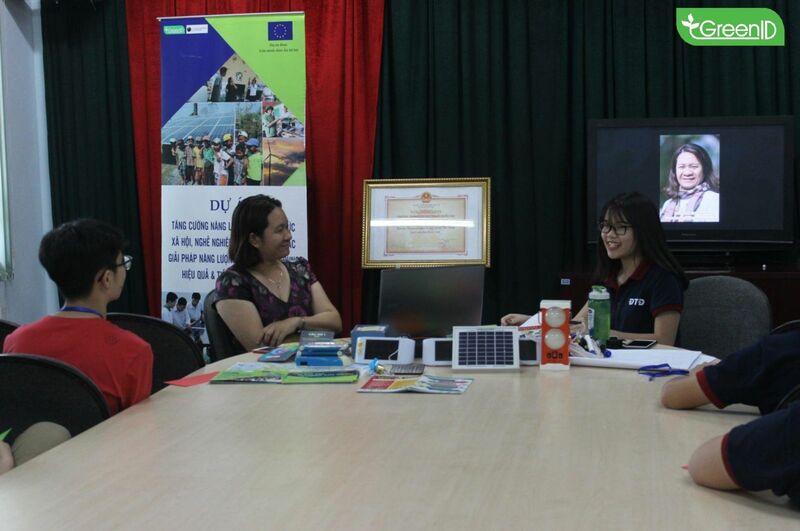 The program consists of five continuous and thorough activities: Setting up the club and working plan in the coming time; Talkshow sharing knowledge and inspiration on Renewable Energy & Energy Efficiency, Experiments using air quality indicators; Gameshow increasing awareness of Green lifestyle and Committing to act for the future. Accordingly, the participants listened to the sharing of Ms. Nguyen Thi Khanh about sustainable development, sustainable energy through Talkshow activity. After listening, students at grade 10 were able to measure the air quality indoors and outdoors using the GreenID test kit. 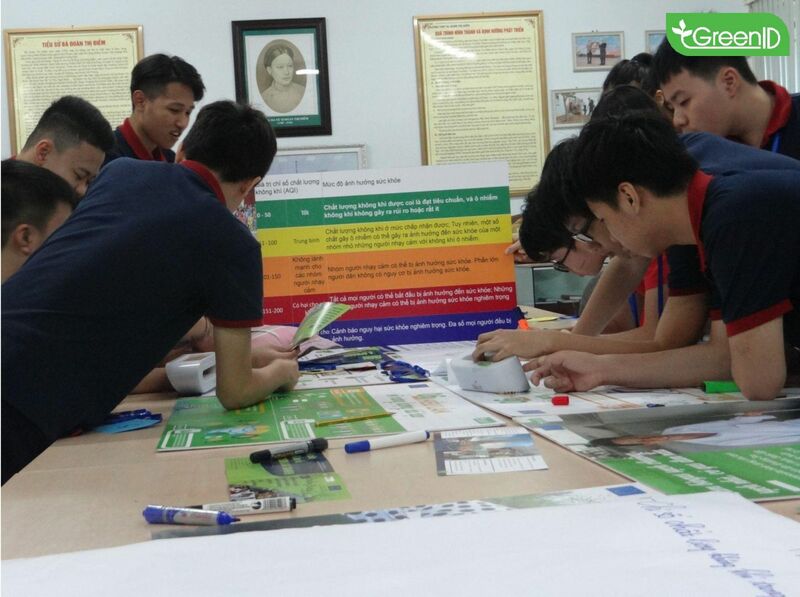 The program also opened gameshow, interactive cinema around the concept of Green Lifestyle such as: Renewable Energy and Energy Efficiency, Wasting, Water and Air. 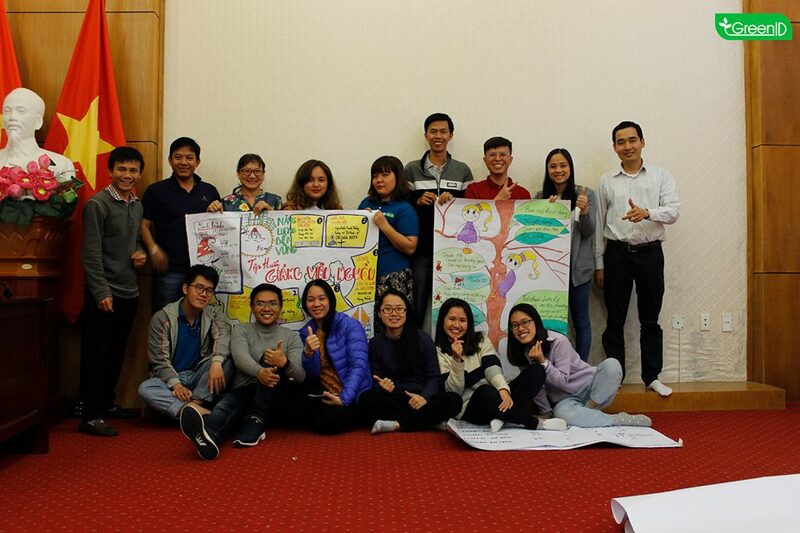 With the view to increasing both awareness and action", GreenID always strives to enhance interactive sharing and encourages space for members to participate in the program, actively present to the public about the social issues. Learning through actual experience, vivid visualization are our preferable method to transfer knowledge about sustainable energy to children. Above all, GreenID expects to provide young people with an overview of Sustainable Energy and Air Pollution. Besides, we can inspire the 20X generation to act jointly for clean air, green Hanoi together. 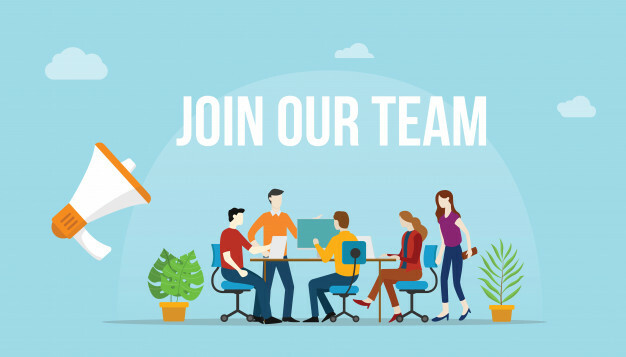 After all, every action, especially how young people contribute to sustainable development goals, is what GreenID is proposing and always work with you to resolve solutions. • Enhance students’ participation in communication on energy efficiency and energy audits. • Promote the application of sustainable energy solutions to schools. 3. Support green star club to carry out communication, energy audit, proposal ideas on solutions, deploy applications of energy saving and efficiency. 4. Assess and replicate the Green School model in the areas covered by the project. 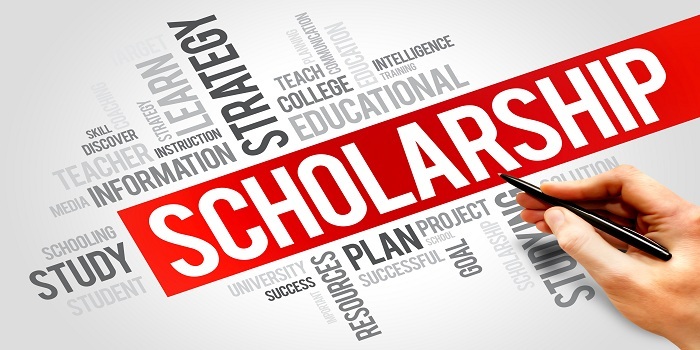 COBENEFITS trainings in Vietnam (Ha Noi) – Apply now for Scholarships!